Modern tourist attractions such as the London Eye and Cornwall’s £86 million Eden Project rank alongside historic sites including Stonehenge among the “Seven Wonders of Britain”, according to a survey published today. The British equivalent to the original Seven Wonders of the World span a 4,000-year period from prehistoric Stonehenge in Wiltshire to the 450ft wheel which was erected on the South Bank of the River Thames to mark the millennium. The remaining four attractions on the list were Big Ben and the Houses of Parliament, York Minster, Windsor Castle and Hadrian’s Wall. More than 2,500 adults from across Britain took part in the survey, which was commissioned by the Yellow Pages telephone directory. A parallel survey of teenagers aged between 13 and 17 also recognised traditional attractions but listed Staffordshire theme park Alton Towers as one of their favourites. Both adults and teenagers agreed on their choice for the Eighth Wonder of Britain – defined as a culturally significant site that is not currently regarded as a tourist attraction – by selecting the Angel of the North, Antony Gormley’s giant sculpture on the outskirts of Gateshead. Alan Britten, English Tourism Council chairman, said: “It’s the mixture of old and new attractions that is a source of fascination for overseas tourists and a source of pride among the people who live here. The London Eye and Eden Project rank alongside historic sites such as Stonehenge among the ‘seven wonders of Britain’, according to a survey commissioned by Yellow Pages. Here, in no particular order, are the seven winners. Antony Gormley’s giant sculpture on the outskirts of Gateshead, the winner among ‘culturally significant sites not currently regarded as tourist attractions’. A chance to go ‘behind the scenes’ at the Roman Baths Museum. · The chance to handle some of the items which have been excavated in Bath and are now stored in the various vaults. A chance to look ‘behind-the-scenes’ at the stores of the Roman Baths Museum. See and handle objects in the reserve collections and find out why and how they care for them. The Roman Baths is one of the largest tourist attractions in South West England. Find out more about charges, opening times and the facilities that we offer at the Roman Baths in the links to the left. Please allow at least 2 hours to get the most from your visit. 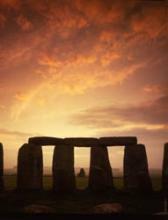 Bath is often combined with a day trip to Stonehenge and the Cotswolds from London. A private guided tour allows over 2 hours in Bath rather than the 45 minutes many coach operators allow. 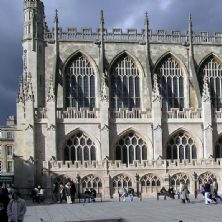 Bath abbey will be the scene of a series of archaeological digs taking place between now and Easter. As part of an on-going project, led by architects Feilden Clegg Bradley, looking at possible future improvements to the Abbey, this month sees the start of a series of archaeological digs in and around the building, which dates back to 1499, (it’s the third church on the site, the original Anglo-Saxon Abbey Church was founded in 757). There will be seven digs in total, six in the Abbey: choir vestry, shop, near the Montague Tomb, Alphege Chapel, South Transept, and one near the font; the seventh will be outside, between Kingston Buildings and the Abbey. The digs, which will be carried out by two local firms, Emerys, who will be responsible for the building work and reinstatement, and Cotswold Archaeology, who will carry out the archaeological observation and recording. The purpose of the digs is to discover what may or may not be possible in terms of ensuring the Abbey is fit for the 21st century. One possibility to be explored is the installation of an underfloor heating system, drawing on the springs that feed the nearby Roman Baths. The Abbey will remain open during the work, and whilst visitors may find a few views to be limited and some of the Victorian pews missing, it is also hoped that they will be able to observe some of the archaeological work, perhaps via closed circuit television. There is an air of excitement at the Abbey as everyone looks forward to seeing ledger stones that have been invisible for 150 years and underground views that were hidden from their predecessors, as well as looking forward to new possibilities. 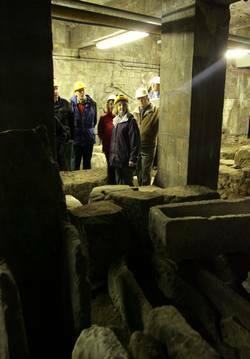 Neeldess to say we offer guided tours of the Roman Baths and Bath Abbey. Visit our website for more details. Wiltshire is a perfect loction for film and television productions. Working with South West Screen, VisitWiltshire and Wiltshire Council seek to encourage new productions and film making in the area, making it a very ‘film friendly’ part of England. Wiltshire is a favourite with filmmakers, taking centre stage in a whole range of productions from swashbuckling adventures to Jane Austin classics. Wiltshire continues to be popular with television and film crews, making an ideal location for anything from traditional period dramas to gothic horror films featuring Hollywood stars. The county was used as the backdrop in productions such as The Wolfman, Harry Potter and the Half Blood Prince and Creation, as well as TV series such as Lark Rise to Candleford and Tess of the D’Urbervilles. Anyone who enjoyed the cinema version of Pride and Prejudice, starring Keira Knightley and Matthew Macfadyen, will recognise not only Wilton House – which doubled as Pemberley, the family seat of Mr Darcy – but also the magnificent gardens at Stourhead, where Lizzie initially rejects his proposal of marriage. The film on the life of Queen Victoria: Momentum Pictures’ The Young Victoria, features Wilton House. Wilton was used to double for Rosenau Castle, Prince Albert’s Coburg and Buckingham Palace. The National Trust’s Mompesson House in Salisbury’s Cathedral Close achieved celebrity status as the London home of Mrs Jennings in the 1995 Oscar-winning version of Sense and Sensibility, when the leading parts were played by Emma Thompson, Kate Winslet and Alan Rickman. Wilton House’s Double Cube room was also used for ballroom scenes in the film. Salisbury Cathedral took centre stage in the TV production of Mr Harvey Lights a Candle and Old Wardour Castle experienced some modern-day drama when it was used for the filming of Robin Hood, Prince of Thieves, while other starring roles have been played by Breamore House and Church (Thomas Hardy’s The Woodlanders); Heale House (The Portrait of a Lady) and Houghton Lodge (The Buccaneers and Agatha Christie’s Murder at the Vicarage). Stonehenge is an iconic location – used in the BBC production of Tess of the D’Urbervilles; the lake at Fonthill Bishop was used in the film Chocolat, and Trafalgar House near Salisbury has been used for several films including Amazing Grace. The village of Lacock, with its cottages and inns dating back to the 15th century was the backdrop to the recent BBC production of Cranford. The village is much admired by film makers; the National trust village and nearby Abbey has played host to a variety of classic films and costume dramas including Pride and Prejudice, Harry Potter and the 2008 film production of The Other Boleyn Girl. Castle Combe has been called the “prettiest village in England”. A favourite with film makers this stunning village is located at the southern tip of the Cotswolds. The village has played host to many filming productions, the most famous of these being Doctor Doolittle filmed in and around the village in 1966, and recently the village had a major role in Stardust and The Wolf Man. Pride and Prejudice was also filmed at Luckington Court, Chippenham, the BBC Tess of the D’Urbervilles was also filmed in Corsham, Walk Away and I Stumble for ITV was filmed in Calne and Chippenham, and North Wiltshire is also the location for the BBC’s Lark Rise to Candleford. The unspoilt streets of Bradford on Avon make the town a perfect location for films. Scenes from the Charles Darwin biopic, Creation, were filmed in the town. Longleat house and safari park has been used for a number of film productions and is the location for the BBC’s Animal Park. Wiltshire also has more unusual film locations: aircraft hangars and runways at Kemble and Hullavington, and with such a big presence on Salisbury Plain, the British Army has many locations available for filming. Swindon provides a useful urban location a short distance from London along the M4 motorway or by train, the STEAM railway museum and designer shopping village provides hstorical and contemporary locations. Swindon has been used as a backdrop for film, television drama and advertising. Norman Foster’s Renault building in West Swindon appeared in the James Bond film A View to a Kill and the Motorola Building in North Swindon was used as a filming location for the James Bond film The World is Not Enough. The National Science Museum outpost at Wroughton airfield, the house of Lydiard Park and the Cotswold Water Park provide unique locations near Swindon. Scenes from Saving Private Ryan were set on the Wiltshire Downs. “Africa and the plains of America are just over an hour away from London”, or so the movie makers have found. Rolling hills, majestic horizons, open skies and a real sense of space, together with a South West Screen “Film Friendly” star rated council are just some of the reasons for filming in the area. VisitWiltshire staff will smooth the way for a hassle free shoot. Wiltshire can offer Neolithic monuments, stone circles, Saxon and Civil War battlefields, peaceful villages where the old rural traditions are still alive, or historic towns such as Devizes and Marlborough both with unique shopping quarters which make them stand apart. Marlborough has reputedly one of the widest high streets in Europe and is home to Marlborough College, while Devizes has an impressive Market Place. The area has first class road and rail links with the rest of the country and over half of it is designated an Area of Outstanding Natural Beauty. The area is rich in industrial heritage related to the Kennet and Avon Canal and local industries such as brewing still survive today, with beer still delivered to local hostelries by dray. Filming near Marlborough and Devizes include: Time Team – Reconstruction of a timber structure that was excavated at Durrington, Walk Away and I’ll Stumble – Tamzin Outhwaite (2 part drama featuring Avebury), Flog it – Pewsey, How Long is a Piece of String – Savernake Forest and Kennet and Avon Canal, History Mysteries – Open University, and Derek Acorah’s Ghost Town – Devizes, and Wilton Windmill was used for The Victorian Farm produced by Lion TV for the BBC series The Victorian Farm. Hollywood director Steven Spielberg has to shot his most recent film in Castle Combe. Based on the 1982 book by author Michael Morpurgo, the War Horse, it will feature Sherlock actor Benedict Cumberbatch and Harry Potter star Emily Watson among the cast. The film is now in post-production and is due for release by Disney in 2011. We offer private guided sightseeing tours of all these locations.